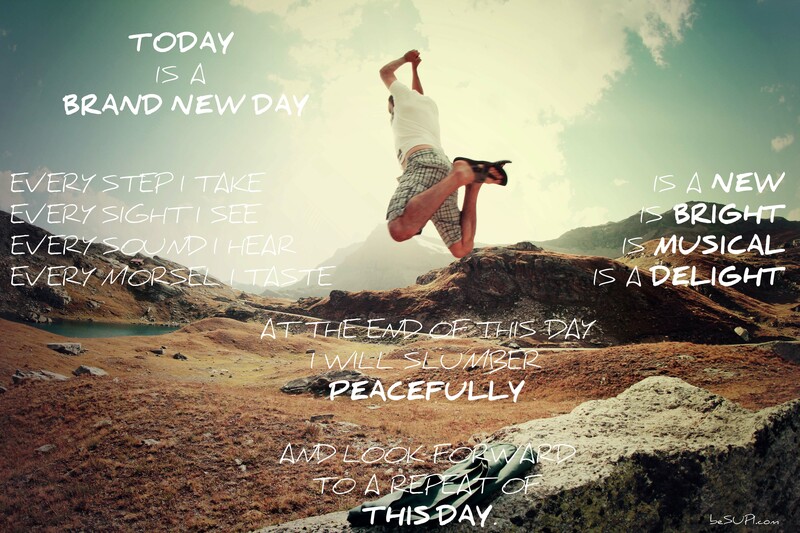 Today is a brand new day. Every step I take is a new. Every sight I see is bright. Every sound I hear is musical. Every morsel I taste is a delight. At the end of this day I will slumber peacefully. And look forward to a repeat of this day. I celebrate my smalles accomplishments. Each is a positive step forward on my path. With my higher power I own each and every one of my steps. 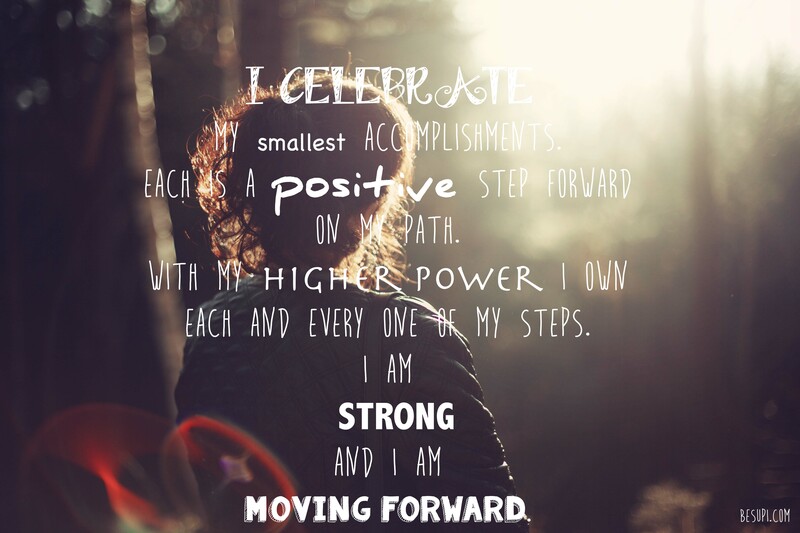 I am STRONG and I am MOVING FORWARD.